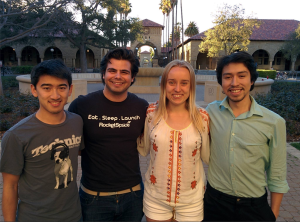 As some students enter spring quarter still in search of elusive summer internships, a startup founded by four engineering students has sought to fix the “broken” hiring process. 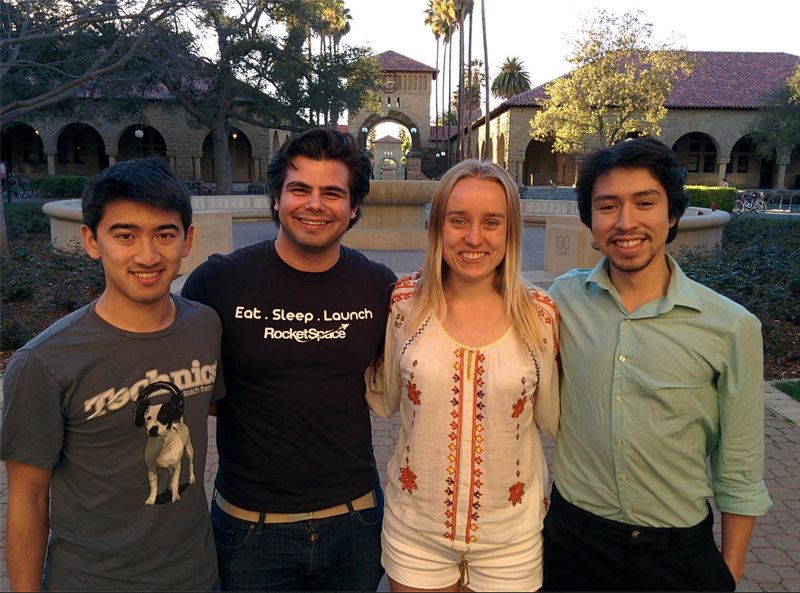 A play on the word “career,” Kaziir — founded by Kevin Chavez ‘14, Alexandra Welch ‘16, Alex Lin ‘14 and Kai Kuspa ‘14 — began during winter quarter as a project for ENGR 145: Technology Entrepreneurship. Students in the course form groups of three to five and spend 10 weeks learning about entrepreneurship by developing a startup or product idea. Each team is also paired with a mentor who has a background in an area relevant to the team’s project. According to Chuck Eesley, assistant professor of management science and engineering and instructor for the class, the theme last quarter was recruiting, with teams tasked with redesigning the process. Although many projects stood out, Eesley described Kaziir’s distinguishing factor as its focus on customer input. According to Eesley, a common problem with teams, especially those with only engineers, is that they place too much emphasis on building the technology while ignoring the market need. “They’ve had a good balance of both being able to build some prototype of the site and also…talking to actual recruiters and really understanding their needs well before they build out the engineering,” Eesley said. “Talking to people who are in the recruiters’ perspective and understanding that side of the market I think is the more difficult part,” he added. The founders noted that they would even speak to recruiters directly after going through job interviews themselves. Through their conversations, they learned that one of recruiters’ biggest problems is having to sort through too many resumes. They also found that companies have struggled with workers who may want a position at a prestigious company solely for the brand name but end up disliking their work. The cost of hiring and training an intern who only stays for a short amount of time is nontrivial. “It’s a big problem because while it’s a good experience and you get Apple or Google on your resume, your actual work wasn’t that interesting [to you], and you don’t want to continue doing it,” Chavez said. In general, the team found that companies want to move away from using resumes as the main factor in selecting interview candidates. With the current system, according to the Kaziir team, companies run the risk of overlooking viable candidates by chance or because they might be missing a “buzz word” in their resume. “From a student perspective, it seems [recruiting] can be very unfair at times, and it gives certain people an advantage if you have that insider info on what buzz words that you want to put down,” Lin explained. Kaziir matches companies and applicants anonymously and based on mutual interests. The founders emphasized that anonymity prevents any unintentional discrimination on the companies’ part based on race, gender, age or even major. “We really just want to remove as many biases as we can and find exactly where people would be happiest and most productive in whatever job they choose,” Kuspa said. The founders have also designed an algorithm that will match applicants with companies. Using computer vision and machine learning algorithms, they aim to create vectors representing both the applicants themselves and also recruiters’ search criteria. “The recruiters are using the same algorithm to search through these people,” Kuspa added. The team also aimed to prevent recruitment work being lost after an interview with a potential employer is over. Rather than having to start from scratch, students should be able to learn from and build off the applications they have already completed, even if they did not get a job offer, according to the founders. With Kaziir, students all get a first chance at an interview by solving challenge problems. The Kaziir team has worked with different companies to design the problems, and applicants can work on the challenges with friends. In addition to removing the intimidation that comes from a three-hour one-on-one technical interview, Kaziir’s group challenges also aim to better model the work experience while still indicating who contributed which aspect of the answers. Furthermore, the site gives users “directed feedback.” Analyzing information both from students’ previous interviews and also from recruiters themselves, Kaziir will suggest companies at which an applicant might be more successful. All four founders empathized with the fact that, as a student, finding a job that interests you can be difficult. As a result, students of all grades will be able to find a use for the site. Eesley explained of the 10 to 20 teams formed in ENGR 145, usually three to five will continue working on their companies. Of the 10 teams in the class this quarter, Eesley believed that Kaziir is one of those teams that could go beyond the class. In fact, the team has already spoken to Jorgensen about their plans for the future. “We’ve already discussed continuing the work after they graduate and see where we go with it. I’m excited about working with them,” Jorgensen said. According to Welch, the company currently has 62 users and is hoping to grow over the next few weeks before their alpha launch, which will be released early this quarter. Currently, students can put their names and emails on Kaziir’s signup page to be contacted as the site develops. Although currently subscribed companies are mostly local, in the long run, Kaziir hopes to expand beyond tech companies in the Bay Area.